Around since 2008, the current generation of the RAM 1500 is finally going to be discontinued in the near future. 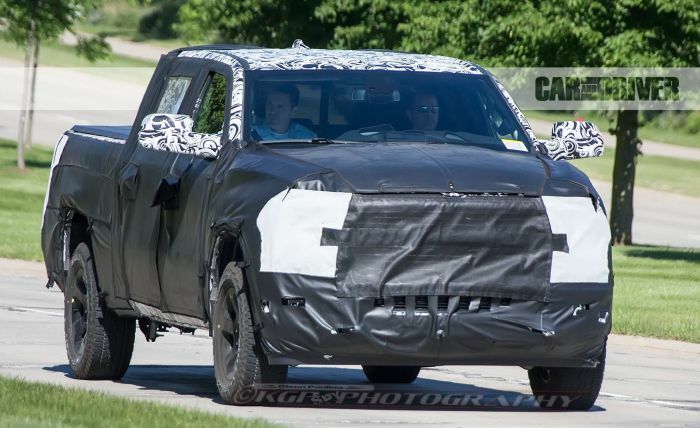 Its place will be taken by the upcoming 2019 RAM 1500 which has already been confirmed by the FCA Group. 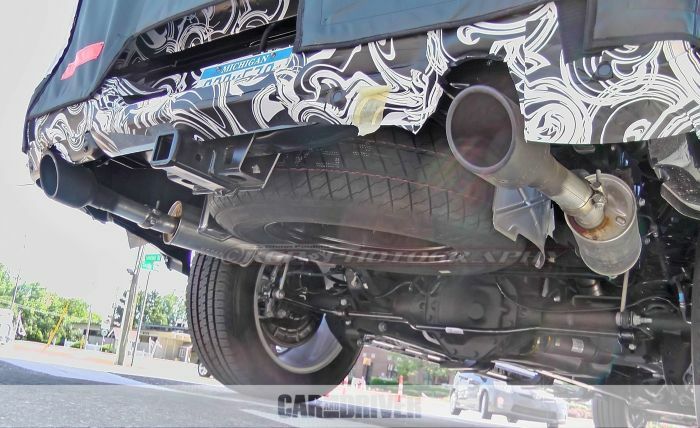 While the details are still scarce about it, the truck has been spied testing numerous times so far and we have to say that it looks quite impressive. 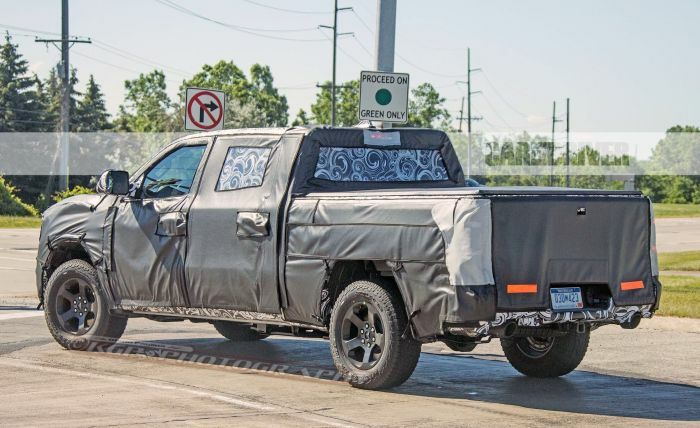 For starters, all the prototypes seen so far were heavily camouflaged. Despite that, it looks like RAM wants us to see some of the details as they gracefully uncovered the headlights as well as part of the truck’s rear end. On top of the obvious design change, the new version of the 1500 is going to be built on a new platform. While the specifics are still unknown, it seems that the truck will use a fully boxed-in frame with heavier duty front and rear axles. 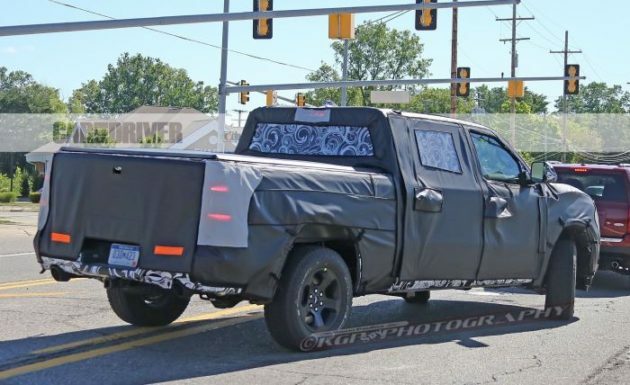 This has been confirmed with the new 6-bolt pattern found on all the prototypes. 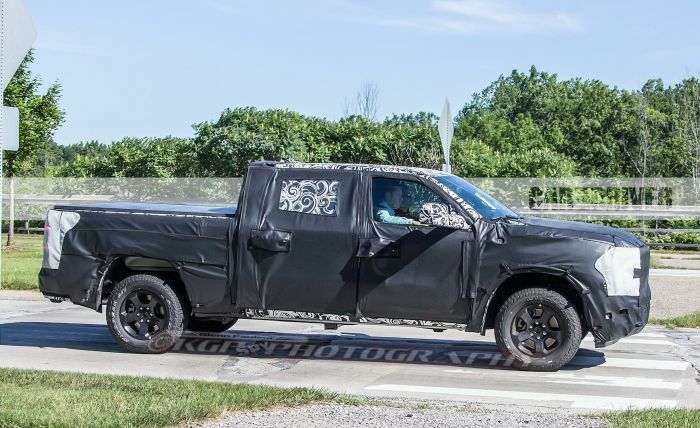 On top of that, it seems the truck might feature at least some parts made out of aluminum. Even though FCA has been heavily criticizing aluminum in the past, it looks like it may very well be the future. 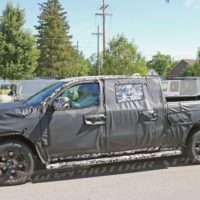 Thanks to this move the new 2019 RAM 1500 should be lighter and more structurally rigid than before. 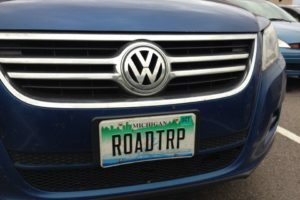 This will allow it to tow and handle more weight in its bed without any real drawbacks. 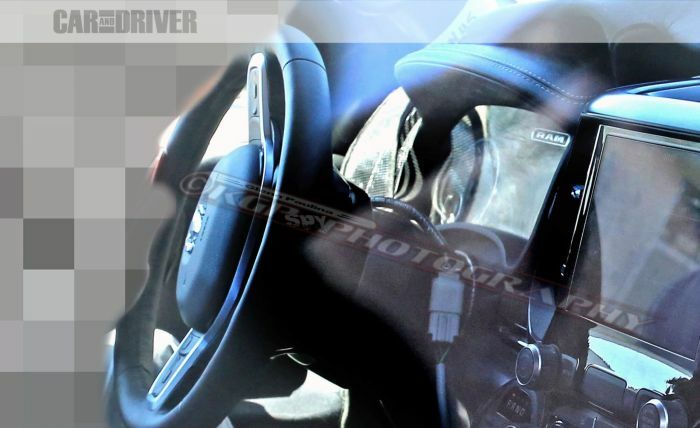 It should also be better to drive at speed as the body will offer better NVH levels than those of its predecessor. 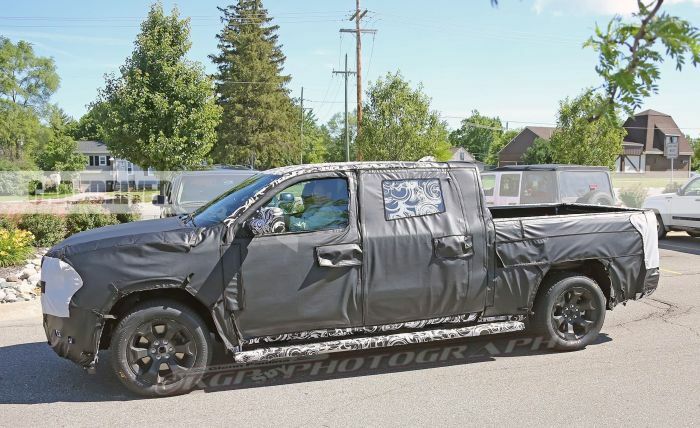 The work on new 2019 RAM 1500 is wrapping up fast so we can expect the final product in a few months. 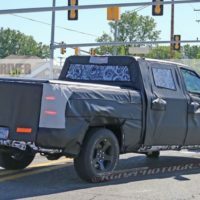 Some sources such as caranddriver.com are stating that RAM’s new truck should have its debut at 2018 NAIAS. This notion has a dose of logic to itself because they probably want to put some salt in Ford’s cake considering this is the home town of their biggest rivals. The price shouldn’t change compared to what we have today. The entry model which is a two-wheel-drive regular-cab starts at $27,600. Depending on your choice of cab/bed configuration you can go into mid-$30,000. 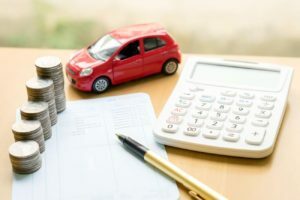 If you push your desires further up a four-wheel-drive Limited model can go all up to $60,000. 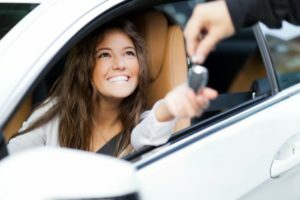 The prices and quality of RAM truck go toe-to-toe with competitors such as Ford, Chevrolet, and GMC. As we said, despite the fact the prototype was heavily camouflaged, we managed to have a good look at it. 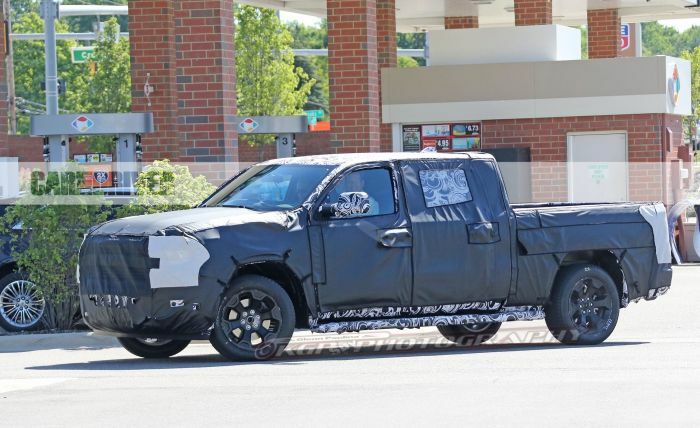 For starters, the wheel arches are no longer going to be round which is definitely a big move for RAM. 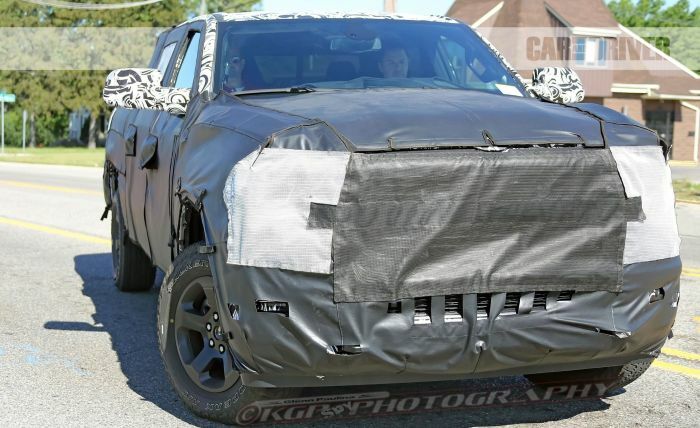 On top of that, in the front the truck is going to feature a far slimmer grille than before as well as swept-back headlights. These will also be offered with full LED clusters which is an entirely new thing for the 1500. 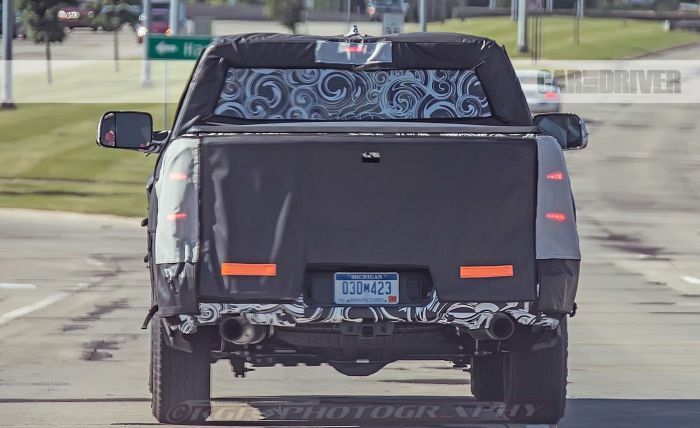 On top of that, it looks like in the rear the truck will feature a split-tailgate at least as an option. On top of the regular cab designs, this generation of the 1500 is also going to feature an extra-long cabin with far more room for the rear passengers. Inside the cabin the new 1500 is also going to boast far more features than its predecessor. 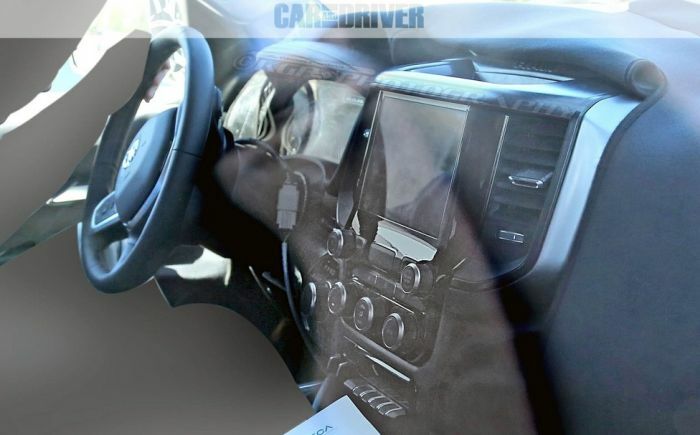 The prototype had a massive full-touch screen infotainment system, a brand new steering wheel similar to the Pacifica as well as a part-digital instrument cluster. It also seemed to offer better materials but this remains to be seen on the actual production version. 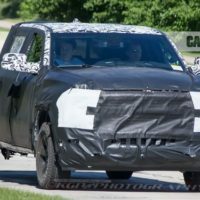 Most rumors seem to suggest the upcoming 2019 RAM 1500 is going to retain some of the current engines. 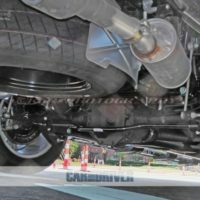 The base model might still come with the same 3.6 liter naturally aspirated V6 as before. However, this time around the engine could make closer to 340 horsepower and around 300 lb-ft of torque. The old 5.7 liter V8 HEMI on the other hand might be discontinued. In its place the new 1500 could boast a smaller, but turbocharged, V6 gasoline engine. This could easily provide 400 horsepower and over 400 lb-ft of torque while being more efficient than the older V8. 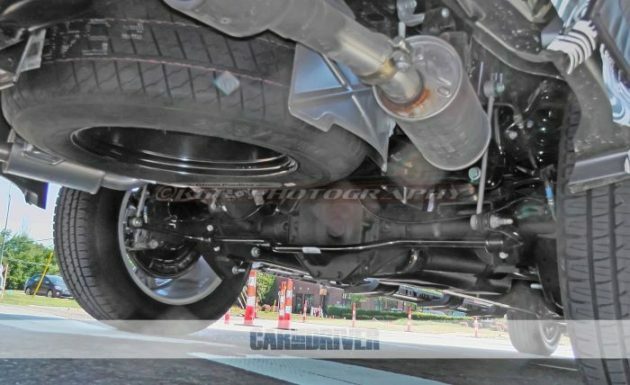 Chrysler’s well known 3.0 liter turbocharged V6 diesel is also a real possibility. Despite all the problems FCA had with their diesels lately, this engine will more than likely find its way into the new 1500. 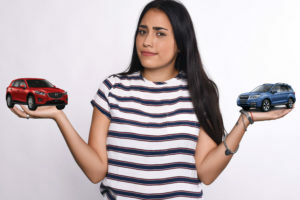 In terms of transmission, instead of the old 6 speed automatic, the 1500 will definitely come equipped with FCA’s new 8 speed gearbox which is far better than its predecessor.